Sandra Oh has the honor of being the first Asian woman to receive an Emmy nomination for Outstanding Lead Actress. And although someone else walked away with the statue, this milestone in the Korean-Canadian actress' career (which is also a milestone for all minority artists) makes her a winner in our eyes. 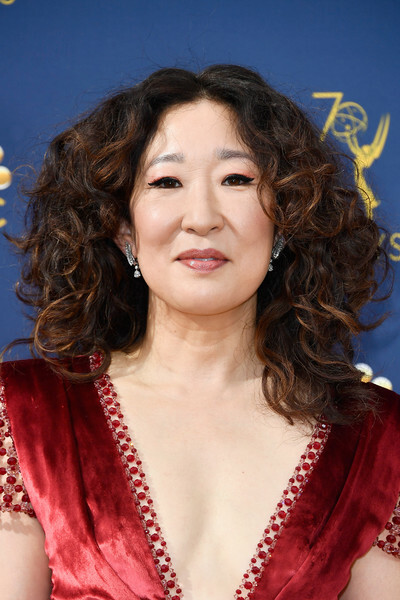 But really, we've always known she has phenomenal talent, having received numerous Outstanding Supporting Actress nominations for her role as Dr. Cristina Yang in Grey's Anatomy. We've also seen her glam it up for the red carpet during all those award shows. And when she walked into the 2018 Emmys wearing that magnificent red Ralph & Russo Couture number, we couldn't help but be amazed at how far she's come, not just in her acting career but also in her sartorial journey.